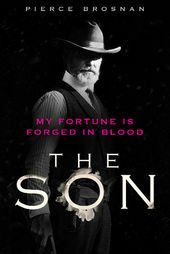 Journey through the violent history of Texas in the opening of AMC’s new Western series The Son, a sprawling generational saga soaked in sweat, blood, and oil. Based on author Philipp Meyer’s acclaimed novel of the same name, The Son follows Eli McCullough (Pierce Brosnan), a man whose fortunes seem inexorably tied to that of the Lone Star State. Beginning in the waning days of the Texas Republic, the story is split between two eras: 1849 and 1915. The former arc tracks young Eli’s time as a homesteader turned Comanche captive, the latter the elder Eli’s life as a family patriarch and successful cattle rancher mixed up in the Bandit War. Is McCullough’s story recorded truth or tall tale? It may be a bit of both. They say everything’s bigger in Texas. For The Son’s opening title sequence, AMC turned to Emmy-winning studio Huge Designs to give the series the mythic quality its huge story demanded. The broad strokes of the McCullough family epic – and in turn the story of Texas as we know it – are all encapsulated in the sequence. Using a mix of drone footage, visual effects elements, and clever transitions, the opening tracks Eli’s turbulent life in one continuous shot, from his abduction by the Comanche through to his rise as a ruthless land baron, before closing on a shot of a Native American figure dwarfed by a modern skyline. The future and all it brings with it await the McCulloughs, but a storm is always brewing. So we last spoke back in 2013 about By Any Means. Huge has been producing some fantastic work since then. Would you say that much has changed for you and the company with regard to the sort of work you’ve been pursuing and trying to produce? Paul: To an extent. The Emmy win kind of put us on the radar, so we’ve been getting to pitch on much, much bigger jobs, which is nice. We’ve been doing a lot more work for the US. But apart from that we’re still a tiny studio. It’s only three of us full-time and then we’ve got one other part-time person. So the studio is just the same as it was before we won the Emmy, but the work seems to have improved quite a lot. We’re getting the bigger projects with the bigger budgets, as opposed to trying to crank out three title sequences a week for a tiny budget. We were not all that well known before Da Vinci’s Demons. Paul: We did the Downton Abbey titles and that show was so well received that kind of sparked some interest, and then the accolades on top of that gave us a bit of an edge in terms of getting our name out there. That helps us since we don’t do any promotional work of our own, which I suppose we should start doing. Huge already had a relationship with AMC thanks to the Into the Badlands. Was it that gig that led to The Son? Tell me about how this project came to you. Paul: Yes! So the Post-production Supervisor at AMC, Leslie Jacobowitz, she learned of us through Da Vinci’s and had us pitch on Into the Badlands. We worked quite closely with Miles Millar who developed that and built a good relationship with Leslie. She’s been putting us forward since then for pretty much any job she’s involved with. It seems like as soon as you’ve got a group of people who are happy with a title sequence, they sort of branch off and you get more work from outside there. I guess it can also work to your disadvantage because if you ever do something bad your name can get poisoned. Paul: But Into the Badlands was another fun project for us. It’s such a mix of genres that you didn’t really know where to go with it, so we just jumped in there feet first and they seemed to like it. So what were some of your initial conversations about The Son? Paul: Leslie mentioned that it was on the horizon. I’d heard of the book by Philipp Meyer but I hadn’t read it, so I quickly went out and bought a copy. I learned the premise of the story – it’s about a guy who gets captured by Comanches and sort of the birth of Texas – so I knew the stories without having to read the scripts. Then we jumped on a call with the author and a bunch of the executive producers, and they just kind of talked us through what they were hoping to see. They didn’t want anything too cliche and wanted something that people had never seen before, which basically everyone says. So we had a good three weeks to work on the pitch boards, but it was quite funny because we had somehow got our wires crossed and we thought the briefing was actually the pitch. We had cranked out the idea – the idea that actually won – and developed it before we even got the brief. We didn’t show it to anyone because we learned right before the call that they weren’t expecting to see any material. [laughs] So we were sitting on that idea before we were even briefed. We pitched maybe four or five different, this one being at the top, and then it was another couple of rounds and some tweaks before they gave us the greenlight to start working out how to do it. Could you tell us about the totem pole concept used for the title sequence and how it was developed? Paul: Right, so our idea kind of stemmed from the totem pole. We wanted it to tell a tale in a linear fashion. When we thought of Native Americans we thought totem pole, but apparently that’s a very northwestern thing. This story is about the Comanches who didn’t actually have totem poles, so we had to remove that word from the pitch. But we still felt that it lent itself well to the piece anyways. The Comanches had peace blankets and things that told a story in a very linear way. 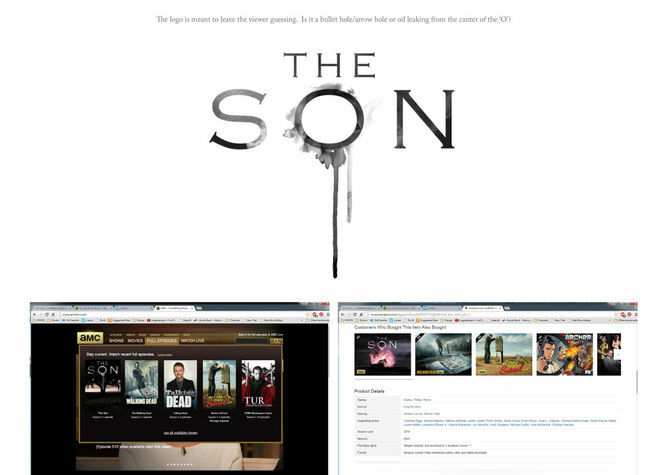 Image set: The Son (2017) "Totem" concept (Actor Sam Neill was originally attached to the project). Could you talk about some of the other concepts you pitched? Paul: Yeah, we were also playing around with a lot of Native American art. It had a bit more of an illustrative feel to it. We were inspired by Allen and Patty Eckman and David Ratham. We would have commissioned those artists if their ideas were chosen. The problem is that we kept being drawn to these palettes that were browns and blacks. It did feel very dated. Paul: When you’re designing a title sequence for a Western, it’s very easy to fall into certain traps that have been laid out since the days of Clint Eastwood. Those sequences are amazing, all those incredible, very graphic, wonderful sequences. You feel like you want to pay homage to that, but it was just so opposite to what they wanted as a sequence. Paul: So we had to force ourselves away from that, but we definitely did squeeze some of those boards in there. But they were thrown out after the very first pitch meeting. You could kind of tell they were slowly losing interest when we showed those ones. So once you get the greenlight from the producers and AMC, what were the next steps? Paul: After we got the go ahead we went straight into a bit of R&D. We thought we could make the entire sequence in 3D – 3D projection mapping everything. We played around with a few tests, but it just wasn’t working. There are so many little nuances, for example, if you’ve got a field that you’re dropping a camera down into, you’ve got these little blades of grass that start to emerge. You lose all that if you’re faking that with a projecting map. So we knew relatively early in the process that we had to get out to Texas with a drone and start getting this footage in camera. We initially wanted to shoot in California just because there were a few ranches out there that were quite accessible. Texas had had so much rain that summer and everything was so green. California was still dealing with a bit of a drought, so everything was really dry. We were setting up the shoot there and that got bounced to Texas. 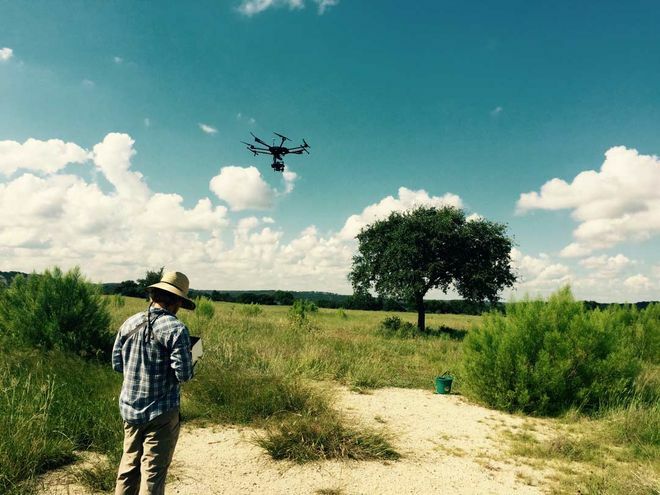 What were the logistics of setting up a location shoot in Texas? Paul: We got in touch with Buttons Pham. She was our producer. Buttons Pham and Alex Fedolak, our Line Producer. They live in Austin and they just scouted everything for us. They found us an amazing drone pilot, an amazing director of photography, so as soon as we touched down in Texas they whisked us away and took us to these places that were perfect. One of the first places we went to was a ranch where they were filming the series. Unfortunately they had already burned the cabin by that stage, so we had to recreate this cabin in 3D. Then we went to a cattle ranch and that was really quite an experience. We were hanging out with the cowboys as they were driving the cattle through the fence. Paul: Part of the problem was that we needed the long shadows so that you would realize what you were looking at, but it was very cloudy that day. Everyone was sitting around waiting for the sun to peek through. You’ve got all these cowboys with these cattle on one side of the orchard starting to get grumpy, and then as soon as the sun came out the stampede could start. [laughs] There must have been a bit of culture shock for you going straight from the West End of London to rural Texas. What did the cowboys think of what you were doing? Did you tell them that you were shooting a title sequence? Paul: Yeah, we showed them the animatic and what we had planned. They were so accommodating. I was a little frightened about hanging out with proper cowboys all day, but we had dinner at their ranch. They were the nicest people you could ever meet. We had a laptop hooked up out there so they could watch immediately after it was filmed. 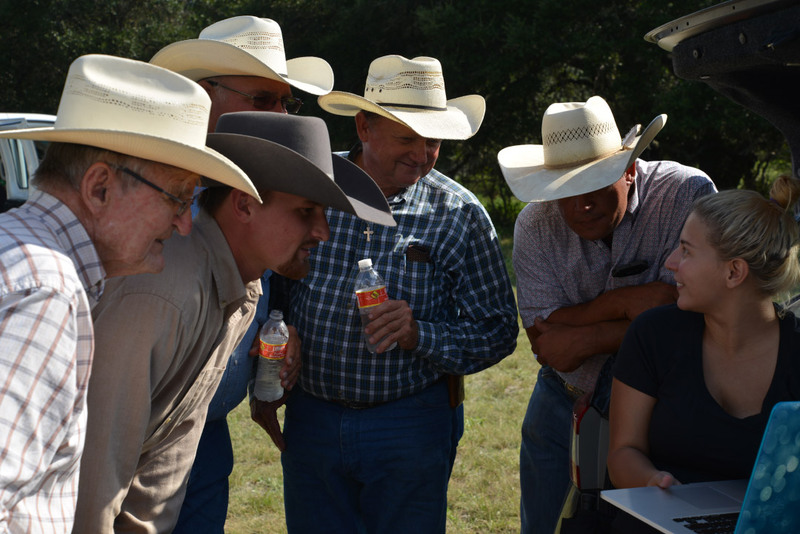 The ranchers gather to look at the drone footage. Paul: They’d all crowd around and look at the footage of them driving these cattle through the field. They were a lot of fun. They took us out for a tour around the ranch, picking up arrowheads and things like that. Let’s talk about the drones and the decision to shoot with them. Why did you decide to do things that way? Paul: That became apparent very early on. As we were doing the pitch it was always in the back of my mind. I knew I wanted to do it in camera as much as possible. So our initial idea was that we were going to buy a little DJI Phantom drone, head out there ourselves, and just film what we needed to film. But we were really lucky that we listened to our producer. She didn’t think that was the best idea since none of us had ever flown a drone. So we got Jesse Wolter with this big ol’ beast of a thing. It was about four feet in diameter. It was pretty windy out there and it didn’t rock at all! Did that tech present any problems during the shoot? Never work with kids, animals, or drones? Paul: No, no. It was good, but it does have its limitations. 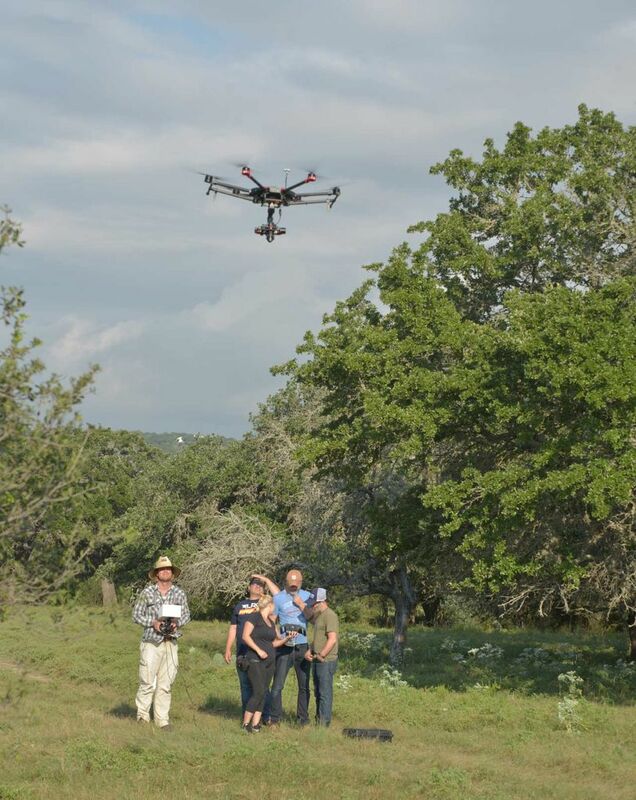 It has about 20 minutes of battery life, so for example during the cattle drive the drone had to be flying quite high up so as not to startle the cows. So the drone was up there waiting and we were all waiting for the sun to clear. We had a 20 minute window or it would have to land and charge the batteries just to take it up again. So let’s talk about post. Once you got all the footage in Texas and you’re back in London. What were the next steps for the team? Paul: Then we start compositing it and stitching it together. We had about six hours of footage that we had to troll through and figure out what worked best. It may seem excessive for a 30 second sequence, but that’s just the way it worked out. We started from the top recreating Eli’s cabin. Our 3D guy here, Ben Hanbury, started to stitch together a rough 3D shape. We’d gone to Pioneer Farms near Austin and took a bunch of photos of a cabin to use as a texture map. Then we tracked that cabin into the field and lit it on fire with TurbulenceFD. 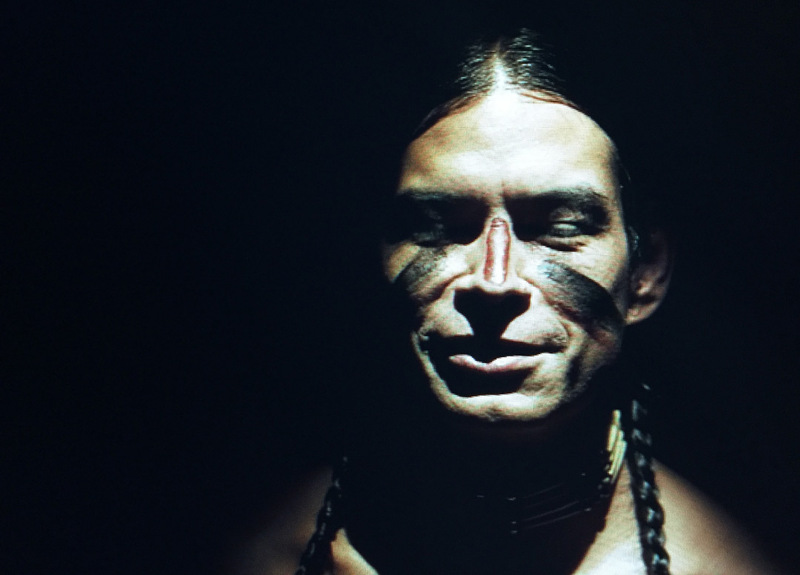 From there we got our Native American actor, Evaristo Castillo. He was a lot of fun. In the story one of the Native American characters wears the skin of a wolf on his head. Our idea was to have you think you’re looking at the head of the wolf and as he lifts his head up you realize that it’s just ornamental headwear. We were going to do that all in-camera, but they brought this wolf skin out that was… less than convincing. [laughs] Without the skull it just looked like a strange stuffed animal on top of his head. Paul: Yeah! The costume designer was so proud of this thing. I had to shoot it with that on and pretend to be happy with that. Then I was like, “Well, why don’t we try a few shots with that off?” and then we just did the entire thing in 3D. We changed it to the puma and just matched his head movement. Then it was on to the hanging tree, which was actually quite a tricky shot. When we got to the location – they hang a person in one of the early episodes – they showed us the tree that they hung him from. The tree couldn’t have been more than 20 feet high! It was a tiny tree. I just could not see how this was going to work. So we said, “Well, it’s not that much of a problem. We’ll just go find a bigger tree!” We must have travelled a good 50 miles around this ranch trying to find a bigger tree, but there was just nothing, it was just scrub. Paul: Then it was just a case of overlaying our cattle shot, which was a bit tricky as well. We had about 20 head of cattle that were being driven, but we wanted it to look as though we had in excess of one hundred. So we locked off the drone shot and used different plates to just overlay it. We had the ranch hands drive the cattle in from three different directions, so we could triple the amount that we had. 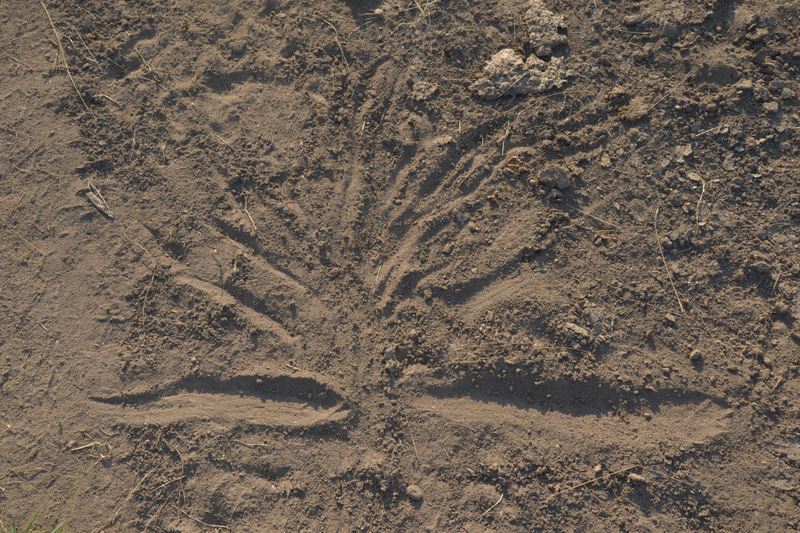 We made a drawing in the dirt to basically tell the cowboys where to go and what direction we needed them to drive the cattle. We had to explain to them how we were going to stitch the shot together and they were very accommodating. Paul: What’s next? The oil derrick was all 3D and tracked in as well. Then we got to the end of the titles. We had the animatic signed off on apart from the end. The end was still a bit foggy. They weren’t completely happy with the board we had at the end – Eli staring off into the desert as a dust storm came towards him. They weren’t sure if that sent the right message. So when we were in Texas we were looking at different scenes and hoping that something would play into our hands. We went back and forth with the ending and I think eventually it was Kevin Murphy, the producer, who suggested having the Native American juxtaposed with the city behind him to give you the feeling that things are changing. It gives it more of an epic saga feeling rather than just a period piece. What can you tell me about the development of the logo? Paul: The initial logo was what we came up with right before we heard the brief. It was kind of a hole in one, as it were. We gave them more options, but they went back to the very first one in the end. Paul: The idea behind it is that you’ve got these liquid that could be oil or it could be blood coming out of the bullet hole. It’s meant to keep you guessing. You also did something in your pitch boards that we haven’t seen much of on these sorts of projects. You mocked up the logo and placed it in various settings, like Amazon and iTunes. Paul: We thought it would be good to see it in situ. We did it for Into the Badlands. Paul: We went through this huge journey with logo experiments with Into the Badlands. They ended up going with someone else’s logo, but when we were trying to sell our logo we just showed them how it would all work in situ. Since then we’ve done it on every pitch since it gives them a better idea of how it might look. What were some of the conversations you had about the music in the sequence? You had a temporary piece of music for most of the development, right? Paul: We were initially using Woodkid for the animatic and things. We actually sent that to the composer, Nathan Barr, and I think he took it and used it as a reference when he did his score. The Woodkid stuff was a little bit more unexpected for the genre. Paul: It can be disappointing when you have a temp track that really works, but what tends to temper that is when you get sent something that you like. We’ve been quite lucky on all the big dramas we’ve done. We’ve worked with Bear McCreary on Da Vinci’s and Mike Shinoda, the lead singer from Linkin Park, on Into the Badlands, and he sent through a track that was better than what we were using for temp. Nathan Barr did that as well. You do grow attached to the temp tracks for sure, but what really stings is when you’re sent something through that you’re just like, “Aww man… This is just not right.” I won’t name any names, but the music can make or break a title sequence quite easily. Paul: There were three of us in England doing all the post. But in Texas there were probably about a dozen people excluding ranch hands and cows. It was a big team that was all brought together by Buttons. They were really efficient and fun to work with. It’s such a tightknit community down there, so they knew all the crew for The Son. If we needed anything from the crew themselves they could just wander on set and get it. And what software did you use to put it all together? Paul: We did all the 3D stuff in Cinema 4D and we were using Octane to render. We used TurbulenceFD for the flame effects and we did all the compositing in After Effects. Pretty straightforward. Is there a particular element or shot in this sequence that you’re really happy with? Paul: I know it’s a simple shot, but I’m really happy with the hanging man scene. What I’m hoping the viewer thinks they’re looking at a peaceful scene of just a tree and then this guy kind of emerges from there. You get a very dark note all of a sudden from something that initially looks quite serene. I was really happy with that. That and the transition into the cows are my favourite parts of the sequence. Hey, no shame! Wolfgang Petersen directed it. It’s a great movie. [laughs] So is there anything more recent that’s caught your eye? Paul: I hate to say it but Patrick Clair is obviously just killing it at the moment. Every time he comes out with something I just hope that it ends a lot sooner than it does. It just builds from brilliance to brilliance! So I think he’s really doing a lot of good work at the moment. But there’s also Michelle Dougherty out of Imaginary Forces. She did Stranger Things and she’s just crushing it! I’ve been a big fan of Karin Fong for ages. She is amazing. 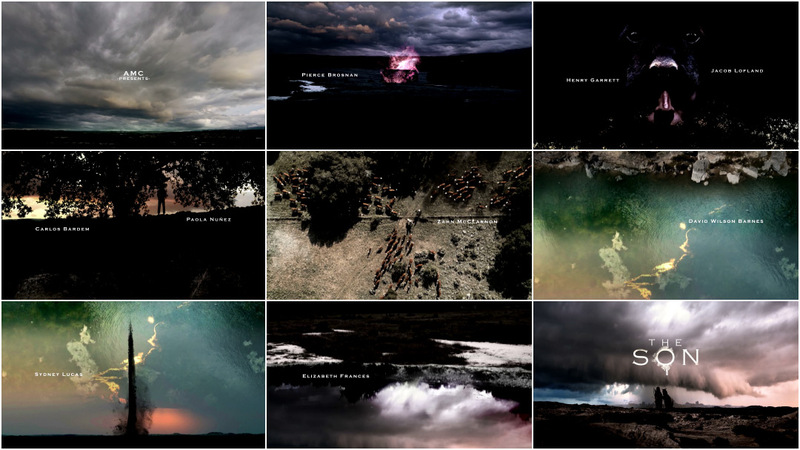 Black Sails is still one of my favourite recent title sequences. That’s such an amazing piece.